Kendall Demouchet joined Vintage in April of 2017. His education and training include economic research and financial markets. 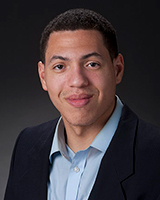 A Lafayette native, Kendall is a recent graduate from local Centenary College of Louisiana, finishing with a Bachelor of Arts in Economics with a minor in Business Administration. During his time there, Kendall participated in a wide array of activities such as being a member of the Centenary Gents Basketball team and being invited to speak at the Federal Reserve Bank of Dallas. After beginning as an intern in 2015, Kendall has since joined the Brokerage and Leasing Department as a licensed commercial real estate agent full time and looks forward to engaging and assisting in the Shreveport-Bossier Community.